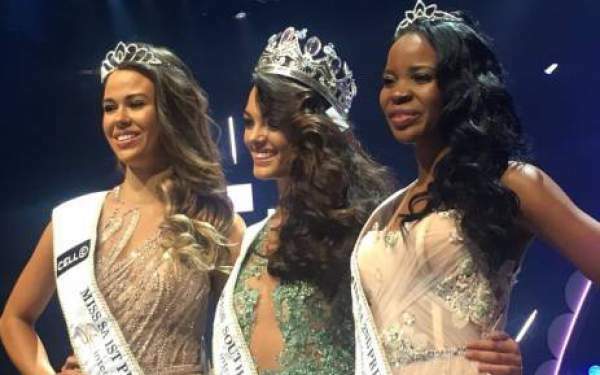 Miss South Africa 2017 Winner, Bio, Wiki: Demi Leigh Nel Peters won the competition. She was crowned as the new Miss SA 2017 at the ceremonial event which took place on Sunday night at the Sun City Superbowl. In the 59th annual beauty pageant, Ade van Heerden was named as the first runner-up while Boipelo Mabe came out to be the second runner-up. The age of 2017 Miss SouthAfrica is just 21 years. She belongs from Sedgefield, Western Cape. She turned out to be the fan favorite on the competition night. The sponsors (Sun International and Cell C) gave her R1m as the winning amount along with a bouquet of prizes. Now, Demi will represent South Africa at both Miss World and Miss Universe pageants. As she has now become a celebrity, Demi-Leigh will be seen in promotional and celeb appearances’ works. She will be loaded with a number of work like traveling locally and abroad to meet various dignitaries, celebrities, the privileged, the unprivileged, and every sort of people – physically, socially, and economically, irrespective of any grounds. Share: Happy Mother’s Day Quotes. | Happy Mothers Day Images | Mother Day Gift Ideas. Demi Leigh will now witness a change of world for herself. She would soon get used to new doors of the business, the arts, the media, retail, and other commercial ventures. As of winning, she is a B.Com business management and entrepreneurship student. Maps Maponyane, Bridget Madinga, Olympic gold medallist Cameron van der Burgh and Ezra Davids were the judges of this beauty pageant. The public chose the top six while the judges chose the winner. The ceremony was a star dubbed event with the likes of Johannesburg Mayor Herman Mashaba and local singer Lira. Local rapper Proverb and presenter and actress Lalla Hirayama were the hosts for the night. Former Miss SA Ntandoyenkosi Kunene crowned the new winner. Stay tuned to The ReporterTimes.com for latest news.